District pages are updated by our District Webmaster. Contact Cory Harp if you have information you would like to have posted on the District Site. Please check the Indian River Calendar for all events District and Council, including Training, Meetings, Events and other important dates. 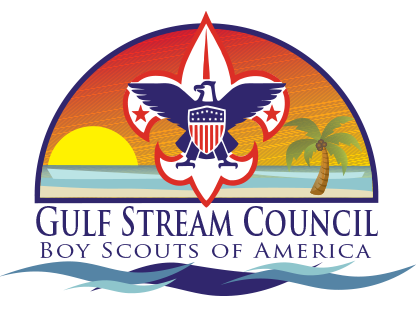 Click on this link to go to the Indian River District, Gulf Stream Council BSA FACEBOOK site, if you are not a member please ask to join. To make a donation to Friends of Scouting click HERE.